LANSDOWNE, Va. – Jack Kent Cooke Foundation Graduate Scholar Olya Yarychkivska, a Ph.D. candidate at Columbia University and founding director of a non-profit group aiming to develop civil society and democracy in Ukraine, is the 2016 winner of the Cooke Foundation’s $10,000 Matthew J. Quinn Prize for outstanding achievement. 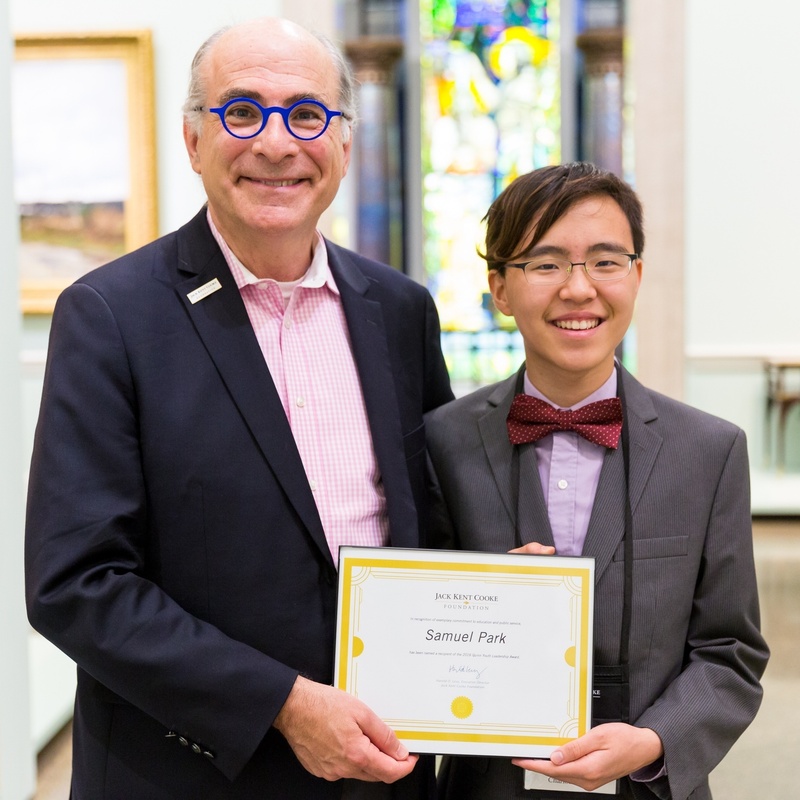 In addition, the 2016 Matthew J. Quinn Youth Leadership Award will bring $2,500 each to Cooke Young Scholars Setareh Ekhteraei and Samuel Park, Cooke Foundation Executive Director Harold O. Levy announced. Ekhteraei, who created a program to teach English to low-income students in her native Iran, recently graduated from the George School, a private school in Newtown, Pennsylvania. She will soon enter the University of Southern California. Park created a nonprofit organization that has sent e-readers and more than 33,000 e-books to low-income children in six countries, along with schools and youth crisis centers in the U.S. He recently completed 8th grade at Harris Road Middle School in Concord, North Carolina. He will enroll in the Phillips Exeter Academy in Exeter, New Hampshire, for the fall semester. The Matthew J. Quinn Prize, named to honor the Cooke Foundation’s founding executive director, is given annually to one or more Cooke Scholars currently in college or graduate school, or to Cooke alumni. 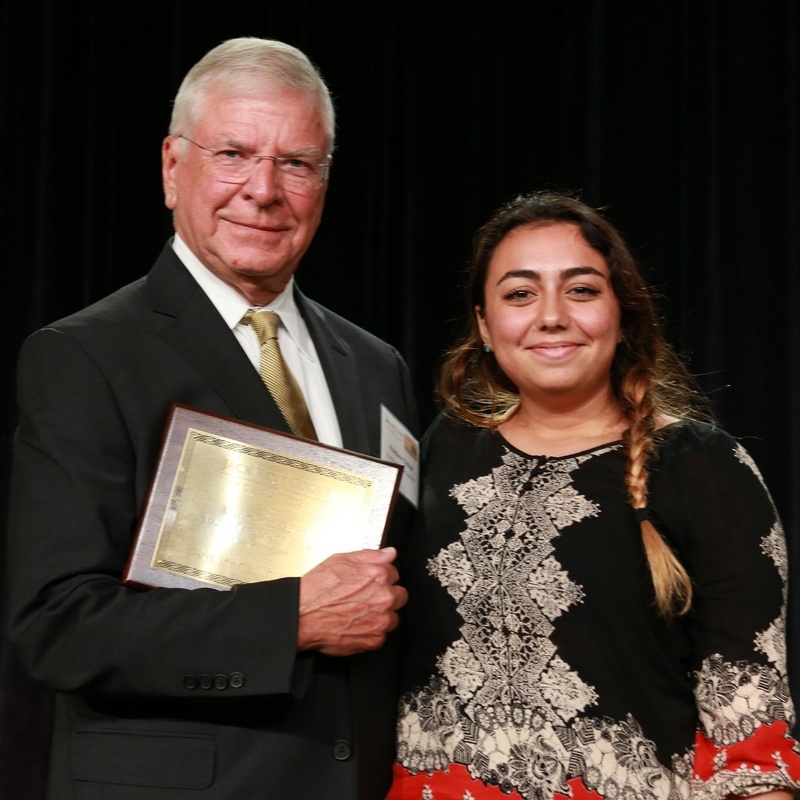 The Matthew J. Quinn Youth Leadership Award is given annually to one or more current Cooke Young Scholars. 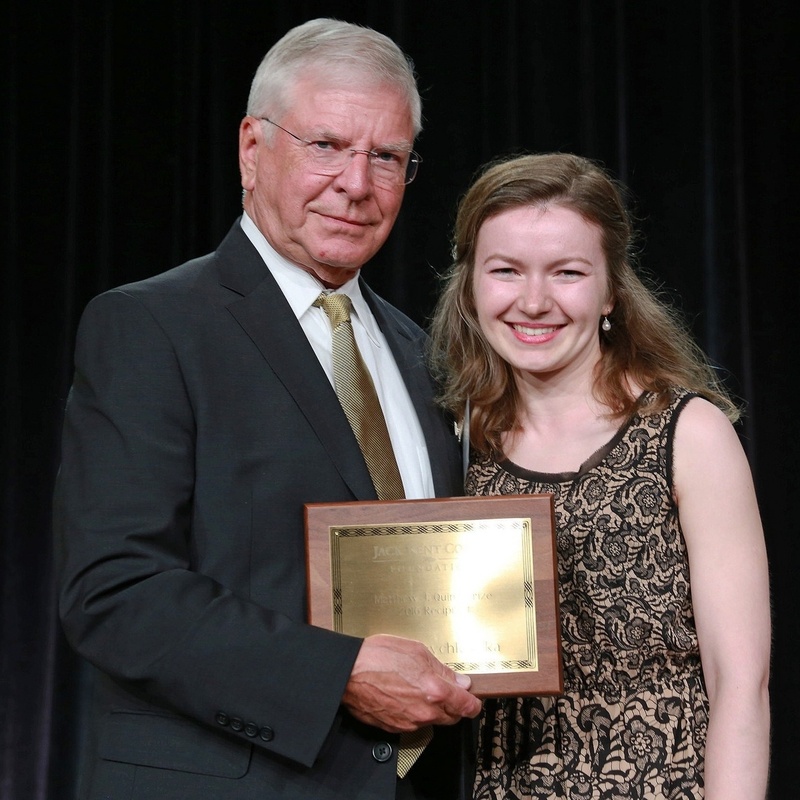 Olya Yarychkivska has received both a Cooke Undergraduate Transfer Scholarship and a Cooke Graduate Scholarship. She holds an associate degree in biological sciences from Manor College near Philadelphia, a bachelor’s degree in biological sciences from Drexel University in Philadelphia, two master’s degrees in genetics and development from Columbia University, and expects to receive her doctorate in genetics and development from Columbia later this year. She hopes to devote her career to saving lives by finding cures for devastating diseases. In 2014 Yarychkivska helped found the non-profit organization Razom (meaning “together” in Ukrainian), which organized an international network of more than 200 volunteers to work to rebuild democracy and civil society in Ukraine. The group led rallies outside the U.N. and met with diplomats at the U.N. from many countries to discuss the Russian annexation of Crimea and human rights issues. It has also provided food assistance to families displaced by fighting and to families of soldiers who have died. Setareh Ekhteraei teaches English during summers in her native country of Iran to low-income students and has collected school supplies to bring to the children, working with the SoLook Charity. In addition, she designed a curriculum and created educational booklets for her students and keeps in touch with them during the school year by phone. She has also tutored students in Spanish at the George School. Samuel Park founded 1KL, an organization “that strives to make a change in the world by giving e-books and educational software on e-readers and PCs to kids in need.” He has also volunteered and raised funds for a number of charitable causes, including schools and orphanages in Africa, as well as charities in North Carolina.